Switch rows and columns in Excel 2019, 2016 - 2007 with the Transpose Range add-in. Transpose data and paste values only, or values and formulas, or create links to the source data. 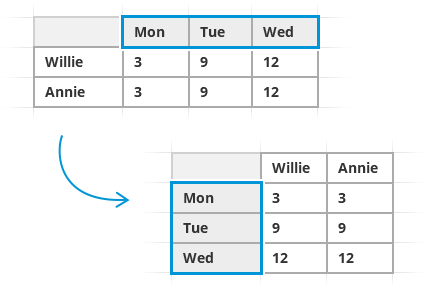 Place the transposed table in the current workbook or a new one. 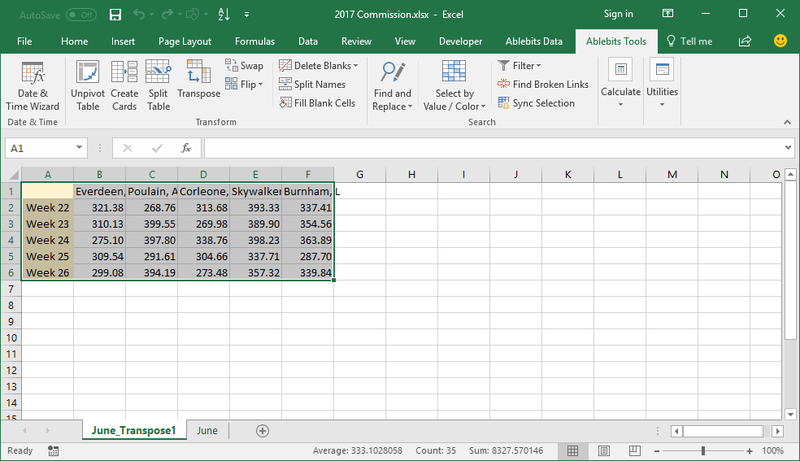 Paste your data the way you need it Transpose data in Excel and choose to preserve formulas, paste values only, or create links to the source data. Choose a place for the result Switch columns and rows and get your table in the same file or in a new one. What is Transpose Range and what do I need it for? 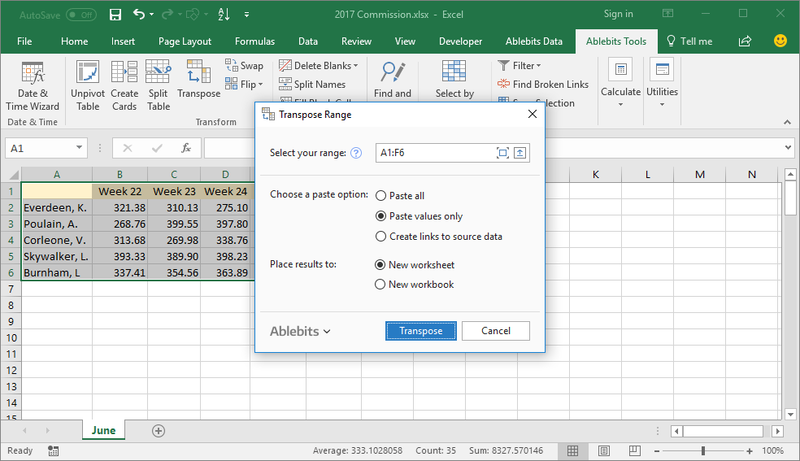 The Excel Transpose Range tool converts columns to rows. It rotates your table, so you don't have to waste your time on copying and pasting. How to change row to column in Excel? Select any cell in your table and start the Transpose Range add-in, that will automatically select the entire table. Choose how you'd like to paste the data: insert cells with formatting, paste only values, or create references to the source data. Select, where to save the result: to a new sheet or workbook. Click Transpose button. In my new table I need to preserve the links to the source data, is it possible? Yes, just tick off the corresponding option and create a new table with all links preserved. There are formulas in my original table and I need to save them while converting, will Transpose Range help? Sure, you can change rows to columns without loosing your formulas. Just tick off Paste all option. Where will I find my new table? There are two opportunities to place your new table: to the new sheet in the current workbook or to the new workbook.